The stories from the book are all about food and a line up of New York City chefs including Ivan Orkin (Ivan Ramen), Alissa Wagner (Dimes) and Brooks Headley (Del Posto) read a selection of them. There’s more about the book below. At the event, they served cold fried chicken, crudités, ice cream sandwiches from Farmacy ( FOOD REGRET: I forget to try these), and beer from Folksbier Brewery (FOOD SCORE: I’m not a real beer drinker, but I liked their Pilsner-esque beer). The cold breaded chicken - I was not in love with this appetizer concept, seemed like leftovers—was served with condiments, like mustard, but what stood out was the honey sriracha sauce. 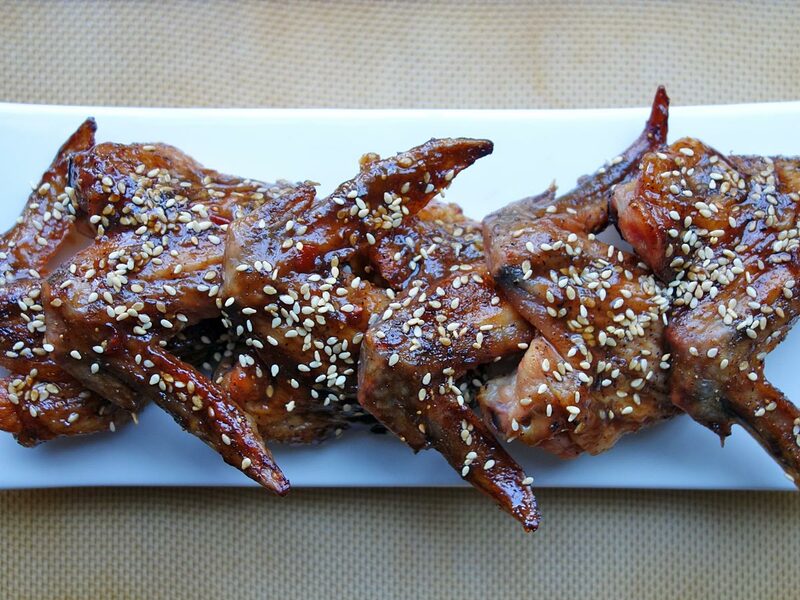 So simple, just mix sriracha and honey. It was tasty too. I had to go and make some. Mine is slightly little less simple, but pretty easy. “This book you are about to read is a great book written by 6th and 7th graders at P.S. 7 SAMUEL STERN in East Harlem. Drawing on inspirations and lessons learned from EDIBLE SCHOOLYARD NYC – a nonprofit organization that builds gardens and kitchen classrooms within public schools – students here explore their own personal narratives surrounding food and community. For six weeks, these students worked with 826NYC volunteers to craft original stories about birthday cakes gone wrong, endless buffets, family reunions, cafeteria disasters, favorite dishes, and much more. Three Ingredients give you sweet, heat and acid in this glaze for my Cooked The Sh*t Wings or a whole chicken or a pork loin, corn on the cob, etc. In a small bowl, mix ingredients. If you like it hotter add more sriracha or even habanero hot sauce. If you like it sweeter add more honey. 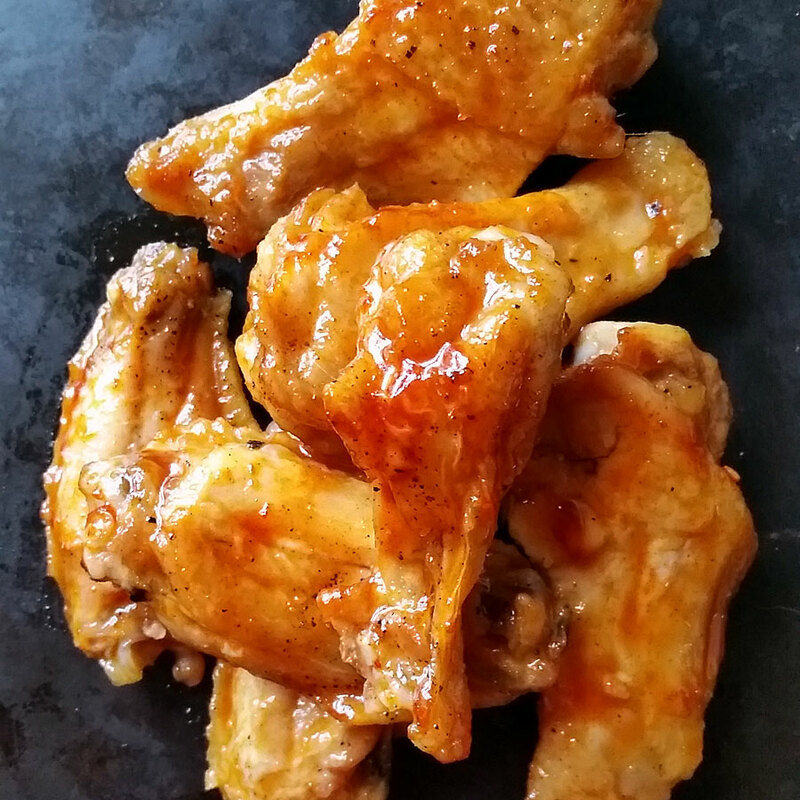 I used this recipe to glaze my Cooked To Sh*t Wings, but you could use it on other cuts of chicken, pork, duck or grilled or roasted vegetables like carrots, sweet potatoes, corn on the cob, zucchini, eggplant, etc.